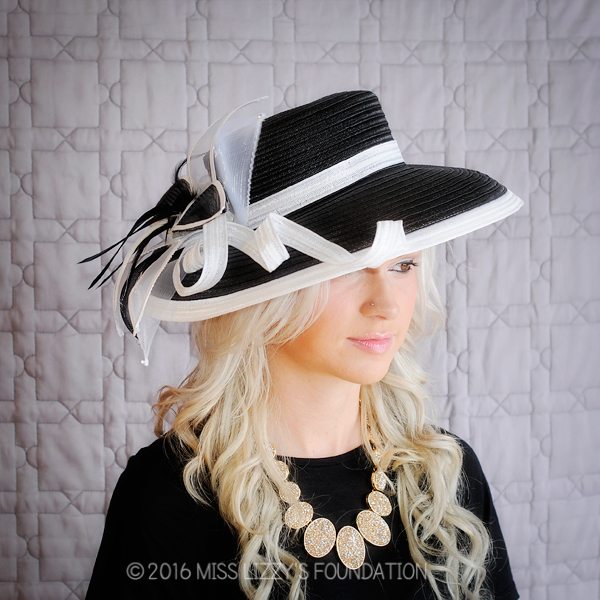 Stunning in crisp black and white, this wide-brimmed hat features a duo-toned flower and curling straw vine to accent the low crown. Gorgeous and elegant, it would complement a wide variety of outfits. 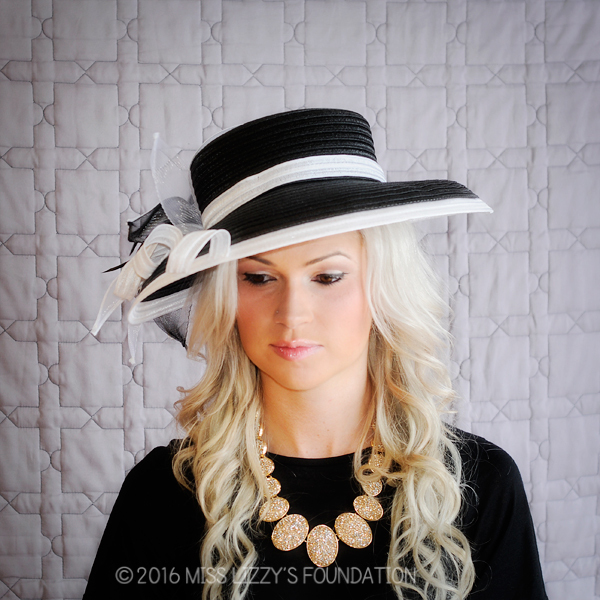 I am going to the Kentucky derby this year and I am interested in purchasing the black hat posted today. Just wondering how much it is?